6 Regulatory Genes Involved in the Sporulation Pathway—B. subtilis Versus Mycobacterium spp. 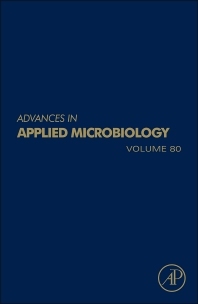 Published since 1959, Advances in Applied Microbiology continues to be one of the most widely read and authoritative review sources in microbiology. The series contains comprehensive reviews of the most current research in applied microbiology. Recent areas covered include bacterial diversity in the human gut, protozoan grazing of freshwater biofilms, metals in yeast fermentation processes and the interpretation of host-pathogen dialogue through microarrays. Impact factor for 2010: 3.913.